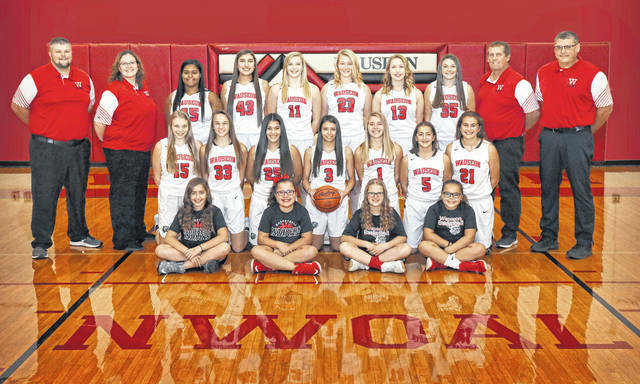 The 2018-19 Wauseon girls basketball team. Four letter winners are back for Wauseon this season. 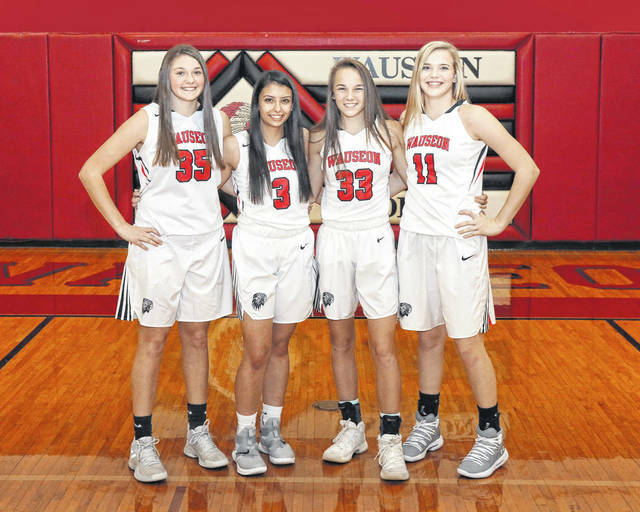 The Wauseon girls basketball team has nowhere to go but up after finishing the 2017-18 campaign last in the Northwest Ohio Athletic League and with a 3-20 record. They hope to turn the tide behind the direction of first-year coach Dan Seiler. Three of those returnees – Sam Aeschliman, Sydney Zirkle and Alexis Suarez – were honorable mention in District 7 last season. Aeschliman and Zirkle were also honorable mention All-NWOAL. “We’re young and athletic and we work hard,” said Seiler on the strengths of his team. Newcomers to the squad are Macee Schang and Marisa Seiler. A key loss for the Indians is Rylee Campbell. She was first team all-league, second team District 7 and honorable mention All-Northwest District last season. Also gone is Ally Tefft (honorable mention District 7). Experience will be the main weakness for the Indians, says Seiler. It will likely be tough for Wauseon to compete for a league title this season. Their coach sees three teams at the top fighting for first. “Top teams this year will be Bryan and Delta. Archbold will be up there also,” said Seiler.